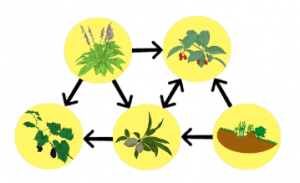 Last year, permaculture educator Karl Treen released the Food Forest card deck, following a successful fundraising campaign on Kickstarter. Have you played it yet? We have, and it’s available for purchase at the FIC’s online bookstore for $25. But the impact doesn’t end there. Treen has committed to pledging a portion of proceeds to tree-planting efforts, and sales of the deck have already contributed to the planting of 1782 trees (as of November 2016) through the Eden Reforestation Projects. 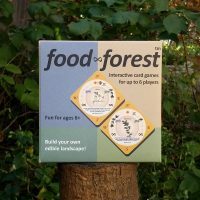 If you’re looking for a gift for a budding botanist or gardener in your life, Food Forest might be just the thing. It’s also great for classrooms and after-school programs. You can learn more about the games that can be played with the deck here — and you can even submit your own variations. The cards are printed by environmentally-conscious Omnicolor Printing, and each sale covers the planting of at least 22 trees. Get your copy from the FIC bookstore today!